Rokucraft's first Official Bending Tournament! Some of the best Avatar Moments have come from epic duels. I’m sure you will all cherish the memory of Zuko vs Azula and Aang vs Ozai, to name just two! Rokucraft has been pushing to replicate the unique feeling dueling brings to every player for months now, and I’m very glad to say that we have decidedto start Dueling Tournaments! These tournaments will be open to every bender of every skill level, and we encourage everyone to apply, even if they aren’t as confident as others. Who knows, you could prove yourself, or if not, the adrenaline of dueling is truly something that will brighten your day! Staff won’t be participating in these tournaments however. The tournaments will be hosted by Yahp, Teem, Tuant and Seb, and run in a normal knockout style! These duels will be one vs one, and we hope to offer one around every 2 months! 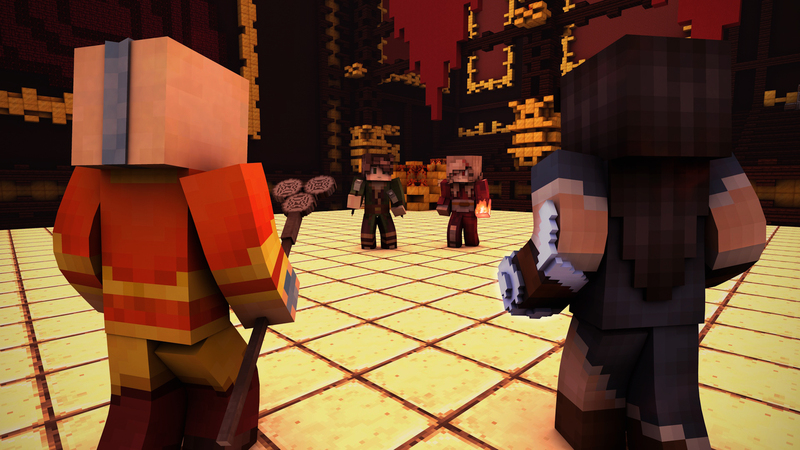 Every match will be calculated by a randomizer, meaning you never know who you will face next! All the duels will be taking place in the beautiful Air Arena, which we hope will make the duels the best experience for all! Of course, these tournaments won’t be going without prizes! First of all:Everyone who signs up will be getting 250 yuans, just for signing up and participating! 1st place will be winning a “Bending Champion” tag in the colour of their nation, reminding all who see them of their bending prowess! They will also be able to choose ANY item worth 10-12 Euros from the store as part of their prize, or 8,000 yuans! 2nd place will be winning ANY item worth 5 Euros from the store, or 4k yuans! And 3rd place will be receiving 2.5k yuans! These prizes are unlike any seen before, and we hope they offer extremely large incentive to you all! We will be using a google form for you to sign up, just answer the questions and you’ll have a place in the tournament! We hope for the first tournament to be on November the 10th at 10PM CEST, so please, try clear your schedule for then! You can sign up anytime from now until the 9th of November at Midnight! We very much hope that as many of you as possible will take this opportunity! Thank you! You can find the sign up form on our Discord (in Announcements)! Halloween is fast approaching and Rokucraft wishes to invite you to join us for this special, spooky, occasion! The Build and Storywriter Teams have been working hard at creating a ghoulish and deathly Halloween Town for your enjoyment! If you complete the quest, there is an extra special reward waiting for you and we can tell you, it is truly fitting for the Halloween Event. To get to the event, simply head to the ship with orange and black striped sails! We’re also happy to be launching new items in the Store! You can pick yourself up an entirely new Bat Glider, making you glide through the air in style. You can also buy event-exclusive Dragon Horns or a Skull Mask, which will make you stand out this Halloween! Ever wanted to high-five someone, or cry on their shoulder? Well, you can now, as we have also introduced a new emotes plugin. Emotes can be used by doing the /em command! You can find a new Halloween emotes pack in our store, perfect for this gloomy season! One final thing, because we’ve added our first glider to the store, we’ve decided to make it more fair that you can only use the store gliders when you already own a glider in game. If you already have a glider, please talk to the Permit airbender in Harbor Town to fix your glider. We hope you have a spOoKy time!